If a Catholic employer pays for a health plan that includes contraception, sterilization, and abortion, but does so unwillingly, the cooperation is implicit material cooperation. It is not formal cooperation because his act is not inherently directed at attaining the evil ends of contraception and abortion. Instead, his act is directed at providing health care insurance. So his cooperation is material, not formal. See my comprehensive explanation of this point here. The Cardinal is correct in saying that payment for healthcare coverage is material cooperation. He is incorrect in saying that it is also formal cooperation. First, every act of cooperation, moral or immoral, is knowing and deliberate. Only knowing and deliberate acts are subject to morality at all. What is termed an ‘act’ in moral theology, is an exercise of intellect (knowing) and free will (deliberate). All acts, good or evil, are knowing and deliberate. So the fact that a cooperative act is knowing and deliberate does not prove that it is formal, nor that it is sinful. Second, formal cooperation is always immoral, regardless of intention or circumstances, because formal cooperation is itself an intrinsically evil act. In Evangelium Vitae, Pope John Paul II defines formal cooperation in abortion as “a direct participation in an act against innocent human life.” When the cooperative act is inherently directed at destroying unborn human life, or more precisely at assisting the act of the other person in destroying unborn human life, then the cooperative act is formal cooperation in abortion. (The same basic principle applies to cooperation with contraception and sterilization.) Thus, a cooperative act is only formal cooperation if its moral object is directed at the moral object of the other person’s sinful act. Paying for healthcare coverage that includes contraception, sterilization, and abortion is not a direct participation in those sins, but concerns only the circumstances. Therefore, it is material, but not formal. If the employer were to pay for an abortion directly, his sin would be formal, because he is directly participating. But when his participation is indirect, in that he only pays for healthcare insurance in general, then his participation is indirect. Third, in many nations, Catholics must pay taxes to governments that pay for, promote, or even provide, contraception, sterilization, and abortion. This type of participation is morally the same as the employer paying for healthcare coverage. The citizen pays taxes, which provide for many different types of services to the nation, including abortion. The citizen is not directly paying for abortion. And the faithful Catholic citizen does not intentionally or willingly cooperate in whatever is sinful in the use of the tax money. And so the cooperation of paying taxes to a government that pays for abortions, or even provides abortions through the State-run healthcare system (e.g. Canada, England), is implicit material cooperation, not formal cooperation. Cardinal Burke’s error, in evaluating the morality of paying for healthcare coverage that includes abortion, implies that Catholics may not pay taxes to governments that pay for, or provide, contraception, sterilization, and abortion. But the Magisterium has never taught that we cannot pay taxes to governments that use some of that tax money for immorality. Voting Ethics: USCCB versus Cardinal Burke. His error there is essentially the same as here. He does not understand the distinction between formal and material cooperation. translator of the Catholic Public Domain Version of the Bible. Gallery | This entry was posted in ethics. Bookmark the permalink. Please consider supporting my work in theology. New benefits to supporters are now available. Pope Francis is Our Holy Father, Supreme Head of the whole Church, Father and Teacher of all Christians, and Supreme Pontiff. 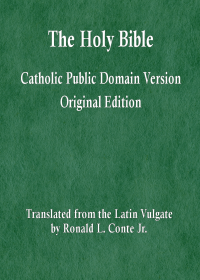 The CPDV -- my conservative Catholic translation of the Bible, from the Latin Vulgate into English, is available at Amazon.com in Kindle format and online here. 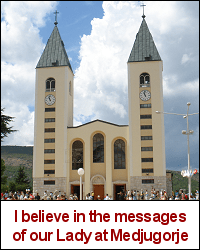 A list of my Roman Catholic theology books and booklets. To read the Kindle versions of my books, without a Kindle device, get the free cloud reader — or — any of the free Kindle reading apps. Noah's Flood: Literal or Figurative? Hunger Math – a blog about world hunger, by the numbers. If the works of God seem foolish to you, who is the fool — God or you? Sign: Unattended children will be given an espresso and a free kitten.